So, you’ve decided it’s time to address your mobile website visitors properly, huh? Mobile visitors now account for 15-20% of your traffic. 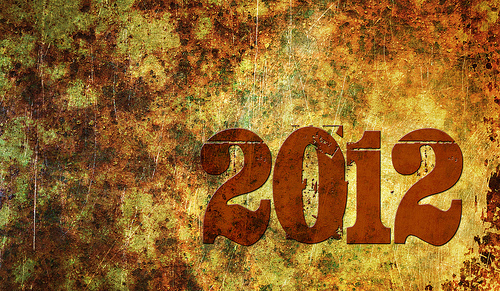 By 2015, mobile searches will account for more searches than searches done on laptops and desktops. That’s pretty significant isn’t it? What is very important to understand is that people finding your website from a mobile device have different needs than someone searching from a normal computer. They require a different user experience. The good news is that now that you are building your mobile website we can make sure that these interests are looked after properly. Here are a few things you should understand about people searching from their little Samsung Galaxy, iPhone, or even Blackberry. A mobile visitor is a visitor with a purpose! If they are visiting your website from a mobile device they aren’t doing it to read about your company. They are probably walking around somewhere or are sitting in a car. The average Smartphone website visitor will spend 10% of the time on your website than a desktop user. So how do I make visitors to my new mobile website happy? Phone number, location map and contact information. Don’t make them scroll. This is the number one reason why people come to your website. Make it easy for them! And they want it fast and at their finger tips! A brief understanding about your company. An overview of your service offerings. Bullet points and keep it short! Opportunity to click through to any social profiles that you have such as Facebook or Twitter. An ability to view your full website. Should they choose to commit more time to your website then what better place for them to view then your regular website. This link should usually appear at the bottom of your mobile website. Once your mobile website is launched make sure to setup a mobile Google AdWords campaign to attract Smartphone users to it! If you are a Smartphone user yourself think about your own habits. You likely don’t do a lot of in depth research. Especially on small business websites. We Live In A Mobile World! Mobile sites produce an average of 75% higher rate of engagement (revenue, page views). 1 in 5 mobile visits result in an immediate call to the business being searched. People use Smartphones everywhere. This includes, waiting in line, eating, shopping, commuting, socializing, going to the bathroom, hanging out! Here are some effective Mobile Website design layouts. Want to please your mobile audience? Remember – keep your content simple, show your contact information and make your site thumb friendly! Need a quick and easy way to build your mobile website? You can do it all at www.instantmobile.com. Or you can have them do it for you in just a couple of hours! I totally agree with making your site easier for mobile phone and table users. However, we’ve taken a different route. Rather than having two different sites displayed for different visitors, we’ve invested in one responsive theme per site which adjusts to the user. So we have one theme which keeps its same seo benefits while rendering correctly for desktop, tablet and mobile phone users. For us, it was much more cost effective. I’m a multimedia design student and all the stuff you pointed out in your article are really very useful. Kudos to the writer. Very helpful post. Nowadays all the phones have internet connection. Some days I have more visits from phones rather than PCs in my website… Thank you once again for your post. It’s true. More and more blog owners and consumers are on-the-go and working from their respective mobile phones. Once you are able to address this trend, you will be better off. Isn’t this why gadgets like the iPad are becoming popular? It’s because they are like desktop computers you can take with you. The sooner everyone realizes how important it is to address mobile phone users, the better the results will be for everyone concerned. Making a mobile website is something I plan of learning someday and maybe make a career out of it. For now I’m focusing in learning how to manage a wordpress blog and other programming language. It’s fascinating how technology affects the other and the career trend. For some who have many followers on their site will surely benefit in mobile website; thereby, maximizing the earning potential. This is an area I feel I would like to improve on my website. I feel that a smartphones friendly website is something that will encourage younger customers. An interesting read and something I will be putting some serious thought into. Now, I think that I understand better why some mobile website templates I saw did not present a lot of content. I agree that a mobile phone is not the most convenient tool to gather a lot of data about a company. The figure you gave about the proportion of mobile phone users is huge. It could be a reason to start building mobile versions of desktop type websites. 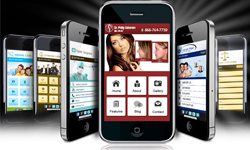 Mobile websites are the new thing in online marketing. Everyone has a cell phone. 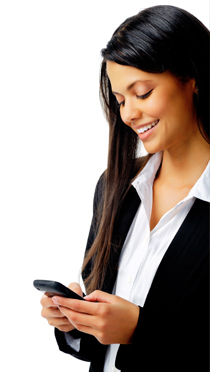 People are always online too, so mobile marketing has definitely become a big gold mine in the 21st century.